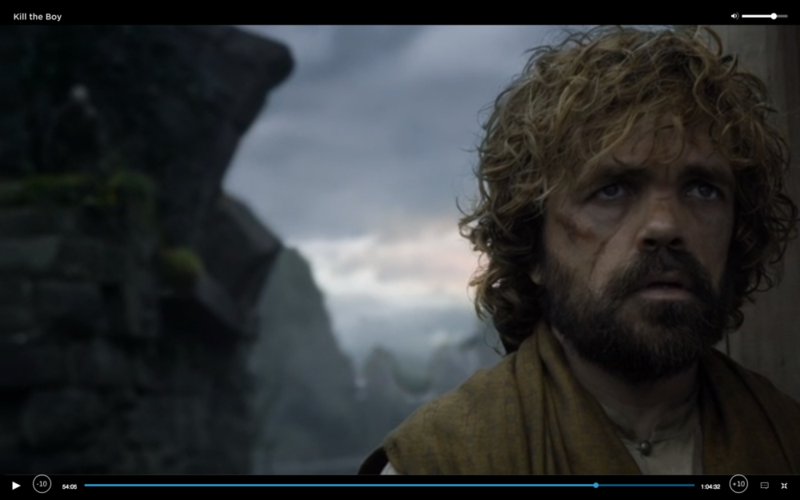 HBONow's video quality is somewhat inferior to HBOGo, HBO's former streaming service. Clicking on the links will resolve the difference more clearly. It is a small difference in some respects, but is significant, especially for text. I find I can't make out a lot of text with HBO's new service. I really hope they stop pinching pennies on their data streaming costs, and increase the bitrate of the stream. Text is definitely clearer with HBO's older service. It's not so noticeable in this screenshot from Enlightened. However, notice how you can see the catchlights in Laura Dern's eyes much more clearly in HBOGo (Left).